‘God passes through the thicket of this world and wherever his gaze rests he turns all to beauty.’ So wrote St John of the Cross. 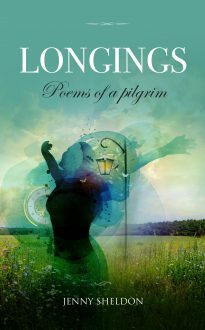 Jenny Sheldon’s poems reveal a life lived with thanksgiving at its core; whether she is writing of winter landscapes, love, faith, or humdrum domestic matters, God is never far from her thoughts. Jenny’s faith releases her gift for creative writing and enables her to see everyday things with new eyes, from familiar human experiences to the mysteries of the natural world, on Earth or beyond.